Though the Sony VAIO L24 is by no means a powerhouse machine, it succeeds as a reasonably priced media center PC. 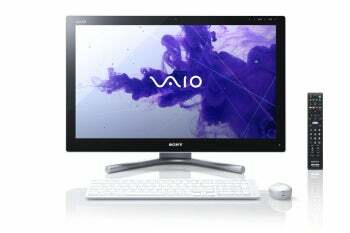 Priced at $1400 (as of May 24, 2012), the VAIO L24 is a fully functional desktop and HDTV. It comes configured with a 2.5GHz Intel Core i5-3210M dual-core processor that can accelerate to 3.1GHz with Intel's Turbo Boost Technology. Intel also supplies the system's integrated HD Graphics 4000. Rounding out the hardware are 6GB of DDR3 RAM, a 1TB (7200-rpm) hard drive for primary storage, and a Blu-ray Disc player. 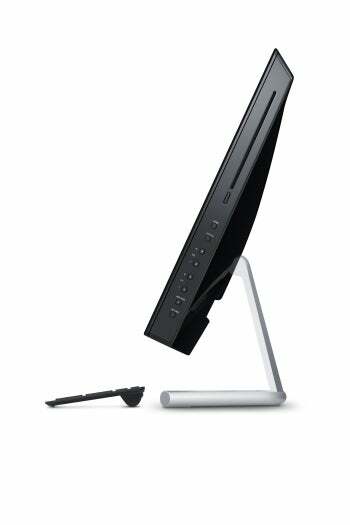 The 24-inch LED multitouch screen supports a native high-definition resolution of 1920 by 1080. You can adjust the display settings through a touch panel on the lower right of the screen. The Home screen offers access to a plethora of settings options. Learning how much pressure to apply to the touch buttons took some time, but searching through all the settings is easy. The VAIO L24's multitouch capability should make it ready to work with Windows 8. The VAIO L24 earned a score of 85 on our rigorous WorldBench 7 benchmark suite. That's not the worst score we've seen by any means, but it does fall below our baseline score of 100. Clearly this PC wasn't designed for power or performance, but for digital entertainment--particularly video, where the focus is on the screen. Despite relying on integrated graphics, the VAIO L24 managed to squeeze through some strenuous game benchmarks at its highest quality settings, though at barely playable frame rates. It managed an average frame rate of 8.4 frames per second on Crysis 2 at a resolution of 1920 by 1080, and 35 fps on Dirt 3 at the same resolution. Even at a lower resolution (1024 by 768) and on low graphics quality settings, Sony's all-in-one averaged only about 26.2 fps on Crysis 2. So you can run these games, but the results probably won't be very enjoyable. The VAIO L24 comes with a ton of applications, ranging from useful to gimmicky. Through a quick launch menu from the desktop, you gain access to recording tools, a calendar, games, and a media streamer. The VAIO Touch Portal has nine applications that show off the different capabilities of the multitouch screen. You also get a typical bunch of games that mimic popular flash games online, plus quite a few picture-arranging and drawing apps. Among the VAIO L24's amenities are a 1.3-megapixel camera, Wi-Fi, Bluetooth, and a TV Tuner. Connectivity options include three USB 2.0 ports, three USB 3.0 ports, a slot for an SD Card, and an HDMI input/output port. The system's wireless keyboard and mouse let you dedicate the USB ports to other peripherals. If you're not a fan of touchscreens, you might prefer the HP Omni 220 (priced at $1000 as of March 14, 2012). It earned an impressive mark of 106 on our WorldBench 7 test, thanks in part to its Intel Core i7 processor and discrete graphics card. The HP's lack of touchscreen support lowers its price as well. The Sony VAIO L24 manages home entertainment tasks well, but it doesn't have a lot of oomph for jobs that rely on raw power. Cutting out relatively expensive hardware helped keep the all-in-one's cost down, but we wish that Sony had offered some upgrade options for buyers looking to get a top-performing media center. A couple of small upgrades could bring up the system's performance score significantly. I enjoyed some of the applications and features that take advantage of the touchscreen, but I don't think I would spend much time after the novelty wore off. Ultimately, this is the perfect product for consumers who are looking for a fun little appliance to take the place of an old computer and TV--two birds with one stone. This system works very well as a desktop HDTV and simple media playback device.